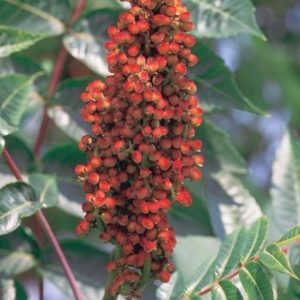 This is a medium-sized shrub that is typically found in moist lowland areas, swamp borders, floodplains, shrub wetlands, and along streams and ponds. 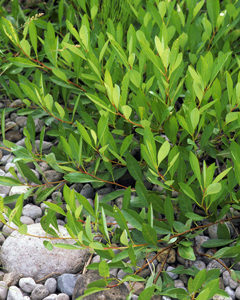 Twigs and leaf undersides have silky hairs, hence the common name. 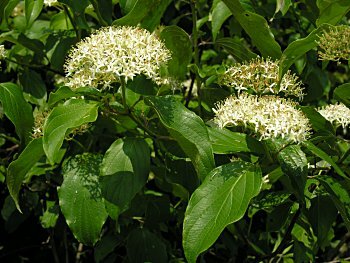 Tiny yellowish-white flowers in flat-topped clusters bloom in late spring to early summer. 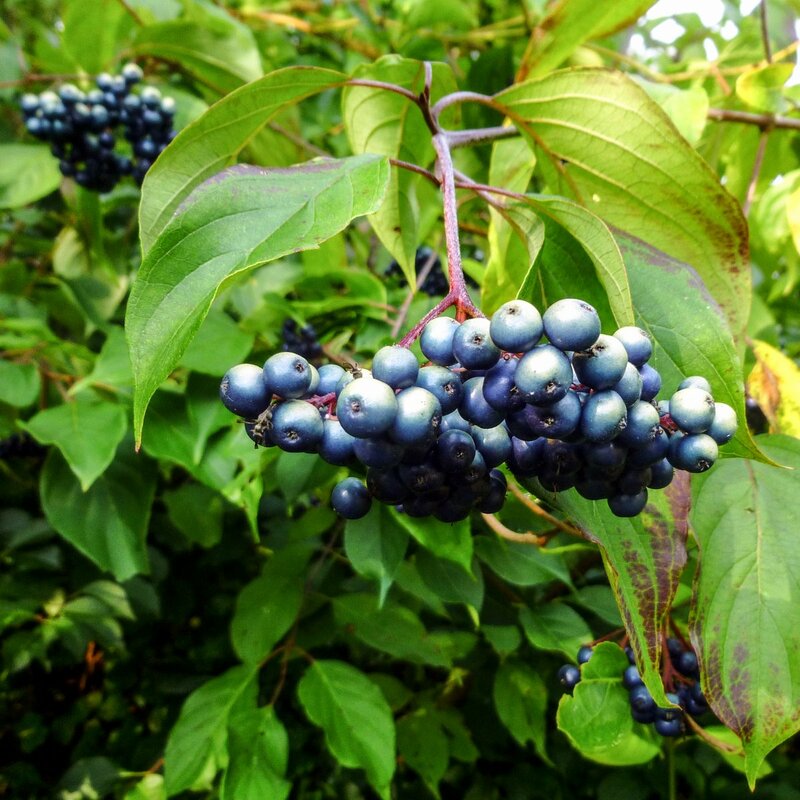 Flowers give way to attractive berry-like drupes that change from white to blue as they ripen in late summer (August). Birds are attracted to the fruit. 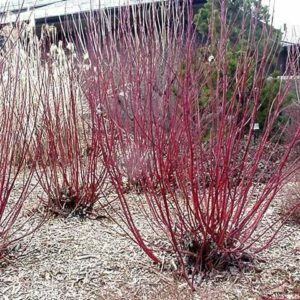 Twigs are purplish brown in spring, and have a distinctive brown pith.